Swap the cruise port for Las Palmas’ top attractions with the Las Palmas Card. When your ship docks, pick up your card, which is valid for 24 hours from first use, and set off to sightsee independently. Get cash-free entry to the city’s most-popular sights, including Casa de Colón, Cathedral of Santa Ana and more. 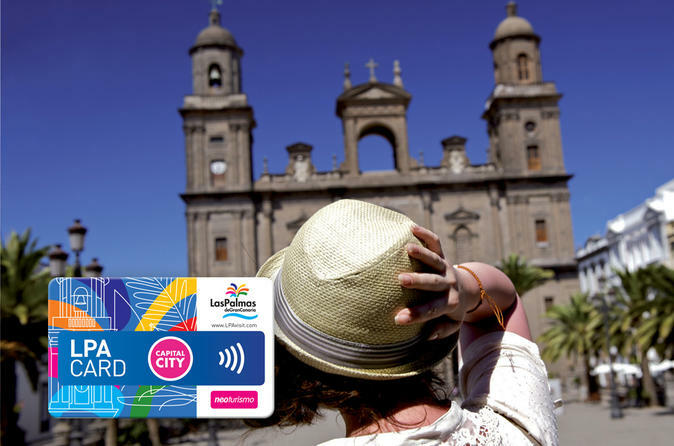 Your pass also entitles you to discounts at select city bars, restaurants and shops, and includes a guidebook to help you plan your time in the Gran Canarian capital. After your cruise ship drops anchor in the picturesque port of Las Palmas, set your own sightseeing itinerary with a Las Palmas Card. Gain free entry to popular attractions such as Casa de Colón — a museum dedicated to the life of Christopher Columbus — and Castillo de la Luz (Castle of the Light). Additionally, you’ll save money on meals and drink in select restaurants, receive discount at select Las Palmas stores and get discounted entry and complimentary drinks some of the city’s hottest nightclubs. See the Itinerary for a complete list of attractions cover by the Las Palmas Card. Many of the attractions mentioned on this card are located within a 20-minute walk to the cruise port, so you determine the time you return to your ship in Las Palmas. Please allow yourself ample time to enjoy the card and ensure your timely return to the port. This excursion is not covered by our worry-free policy.